The need to say goodbye is one of the most basic emotions. It is always hard, never comes intuitively, and we struggle to say the word and stick to it. There are myriads of songs on the topic. One of my favorites will have to be Can’t Let You Go by Rainbow. It is probably the right time for Mr. Nadella to sing goodbye to Microsoft’s mobile operating system. The industry reported that in 2014 Microsoft had a pathetic 2.7% market share in the Mobile OS, dominated by Google’s Android and Apple’s iOS. The thing is, Mobile OS’s are successful if developers create apps for them. Obviously all developers are focused on one of the two mentioned above or perhaps, both. There is little room for a third. But that is not really the issue. Strategically, Microsoft has decided to give away Windows for any device smaller than 9″, or any tablet or phone. But it collects a $10 royalty or more on most major android devices. 2014 estimates put the royalties at around $3B. This cash goes directly to the bottom line. Sure, software has great margins, but not 100%, royalties almost do. But wait, there is more. Microsoft has reported hundreds of millions of downloads of Office for iOS and Android. Office, the defacto corporate suite is Microsoft’s money making machine. It is a mind boggling product. Last fiscal year it was responsible for 40% of Microsoft’s OE and 33% of its revenue. It operates at an outstanding 56% OE. So, my loyal reader (singular), who do you want to protect? An OS franchise that is going the way of the dodo or your money printing machine. Microsoft will be better served, and it actually is, but the downloads and product of Office 365 for Android and iOS. And, of course, the insane royalties it is collecting for android devices. And then focus on cloud and other services. So, Mr. Nadella, it is time to say “goodbye” to the product that made Microsoft exist and dominate the PC industry, at least the mobile kind. In case you don’t know it, I’m taking the liberty to post the entire lyrics of Rainbow’s song on this piece since it seems that Master Richie Blackmore and Joe Lynn Turner had predicted the demise of Microsoft’s Mobile OS and wrote this song. Where did we go wrong, girl? I’m reaching out for you, babe, what can I do? September 9, 2013 by lfllmg · Comments Off on A Falling Knife? It is widely known that two turkeys do not make an eagle. I’m not sure what made me think of this, I’m not even a golfer. 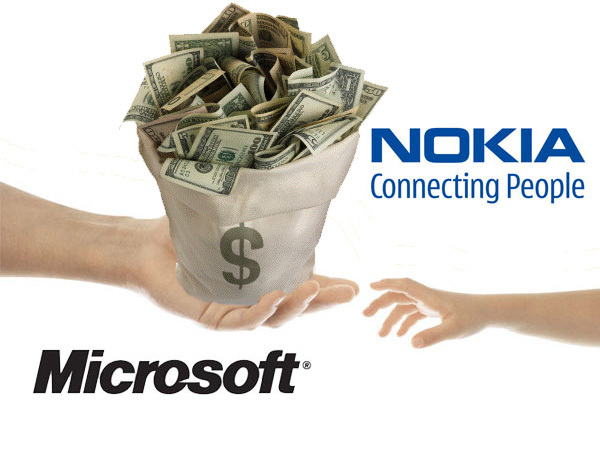 But it seems to me that Microsoft just handed a bunch of their cash to Nokia for what seems to be a desperate move. Let me explain. Nokia operates 3 businesses. For the first half of 2013 none actually made any money. Nokia-Siemens network (~ 50% of their revenue) which is 11% below last year’s revenue and operating at roughly break even. Devices and Service, which is what Microsoft made an offer to buy, is responsible for roughly the other 50% revenue, which for the first half of 2013 was EUR 5.6B vs 8.3B for the same period last year. This business lost “only” EUR 75M for the first half vs EUR691M for the first half of 2012. So it is improving. What makes up this revenue, you may ask? That’s where it gets interesting. EUR 2.3B is made by the sell of 13.5 mostly Windows based smartphones. EUR 2.9B from 109.5 million of what they call “Mobile Phones”, which do not run Microsoft’s operating system. The rest is services, whatever that really means. So, a little over a half of their revenue is not only non-Microsoft products, but at an ASP (average sales price) of EUR 26 (yeah, not missing any zeroes, it is twenty six euro per phone). This is just a small, very, very small fraction of what an Office or Windows license go for these days. The other 40% is Smartphones, which are mostly Windows based. Those sold at an alarming EUR 175 ( $232 US) average price. Compared that to above $600 for an iPhone and above $500 for a Samsung Galaxy makes them one of the lowest in the industry. They are actually great devices, but they have to almost give them away for the carriers to take them to their customers. No wonder the division is not making any money! So, Microsoft handed $7.2B (which is actually less than 10% of their cash at the close of last quarter) for a shrinking business with the lowest sales prices in the industry, 60% of which they have no interest in. Not surprisingly, Microsoft investors did not like the idea and drove the stock down around 10% in the first couple of days. One has to imagine that Microsoft thought this was their only chance to get into the fast growing mobility business. On the other hand, Nokia investors loved the deal. The stock shot up 50% in the first couple of days! So what can the deal do for Microsoft? In their fiscal year 2013, which ended June 30th, Microsoft ran 5 business that produced $77.6B in revenue with mind-blowing operating earnings of $33.4B. Every one of these businesses grew from a year ago, except for Windows, which was roughly flat. Servers and Tools, which sells servers, had around 24% of the total revenue and 24% of their O.E. Windows, which was 25% of revenue and 28% of O.E. Online services, which manages Bing among other online offerings, was 4% of revenue and operated at a loss that represented -3% of O.E. Entertainment, which sells Xbox, Surface PCs, and Windows phone was 13% of revenue and produced a modest 2.5% of Microsoft’s yearly earnings. The latter is where they will probably merge Nokia’s business if the acquisition goes through and probably spin Xbox out as it has been rumored for a long time. Assuming the revenue stays flat (a big if), it will represent around 20% of Microsoft’s total revenue, but no earnings to speak of. Their only hope is to drive ASP (average sell prices) up. And, my fellow reader (singular), there is only one way to do that: with unique products that customers value their differentiation. Consumers don’t particularly like Microsoft, but there is a group that has had a long lived love affair with them: I.T. Most corporate I.T organizations in the world prefer Microsoft to any other operating system. They trust them and have been supporting them for years. Microsoft’s only hope is to leverage that. They will have to relentlessly push for Windows based phones to become the Blackberry of Christmas past. Focus on professional users by making email, calendar, office, and corporate apps a seamless experience. However, the world of mobility is that of 99 cents apps and free OS. Clearly not where you want to take a $43.5B business that throws $24.7B in earnings per year selling operating systems and corporate applications. That is a boat load of 99 cent apps. Apple and Samsung have shown that making significant amounts of money with differentiated hardware in the mobility industry is possible. What do you do when you are the most valuable company in the world, you have a cult following your products even when you make huge mistakes like placing the antenna on the wrong place? You become arrogant. 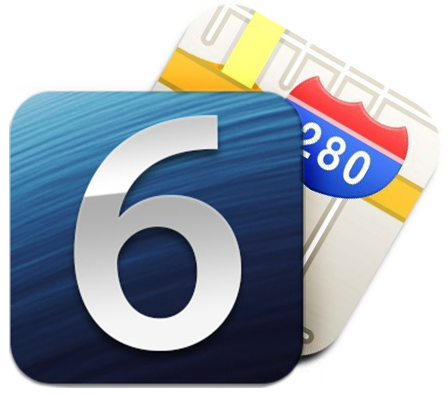 The iOS6 maps disaster has really been a problem for Apple despite the fact that they have an amazing lineup of products. Google has been improving the Mapping apps for years, so Apple decides to 1-up them for iOS6 and screws up big. Granted, Tim Cook apologized to Apple fans a few days after. It took Steve Jobs weeks to acknowledge the “death grip” and that didn’t even make the stock blip. On the other hand, iOS maps has been more than a blip. A few days after iPhone5 was announced, AAPL hit above $700 / share. last week it dipped below $600 meaning more than $100B in market cap loss. Granted, not all can be explained by a lousy app, but a big chunk of it can. Don’t get me wrong, I’m not saying that iOS6 maps itself is to blame for the whole $100B, but it signals what Apple rarely does: screw up functionality. As I commented here Samsung is starting to become a real competitor thanks to an aggressive product development lineup and a very, very different strategy. They are both vertically integrated, although in a different way. Samsung fabricate the chips and make the displays Apple uses, but they don’t have the software ecosystem Apple does. But with the new Galaxy III and Note lines, they are really, really whipping out outstanding products. Thanks to Android, they have also improved, in this blogger’s humble opinion, the smartphone experience. But anyway, Apple strategy is a few products, very well done, not leaving anything to chance, whereas Samsung is a “shotgun strategy” by doing lots of products and then next generations of those who are successful. Neither does marker research in the traditional sense, but they both know their markets well. This product development strategy has worked well for both, but has hindered Apples ability to anticipate new needs, like larger screen on phones or smaller screens on tablets. Apple has just matched Samsung’s successful lineup to a certain extent. Another difference, again, in my opinion, is recognizing what they do well and double down on it. 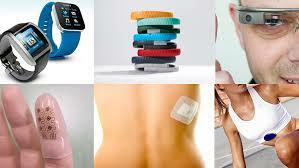 Samsung is a strong hardware company and uses third party software to complete the products. Apple believes they can do software better than anyone else. That’s their DNA. I guess Apple’s recent apology that automatically hides itself from users of their UK site kind of proves that. Well, my loyal reader (singular), they were wrong. Google Maps is years ahead of iOS maps and that is where arrogance played. The $100B loss is not due to the maps app, but it is the market recognizing that Apple’s arrogance took the best of them in what could have been the best product they ever made. I wonder how many consumers decided for Samsung when they were on the fence, just due to Map? That is one of the most critical in a smartphone! Now what will Apple’s most faithful followers do is, of course clear. But since there are also rumors of Samsung doing their own OS this is all for grabs. If that happens, it will render this blog totally wrong. But in my defense it will not be the first or the last one like.